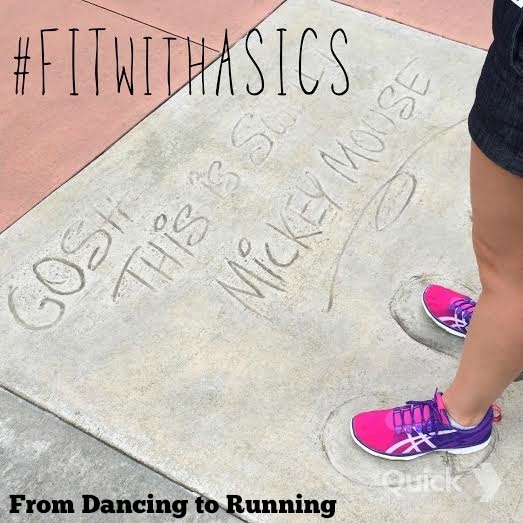 Disclosure: This post is sponsored by FitFluential on behalf of ASICS. In addition to running, I routinely focus on incorporating strength training and other low-impact cardio into my training routine. Up until a couple of weeks ago though, I routinely did all of my activity in running shoes, lacing up an older pair for non-running activities. So when I received the opportunity to try out the new ASICS GEL-Fit Sana training shoes, I was beyond thrilled. 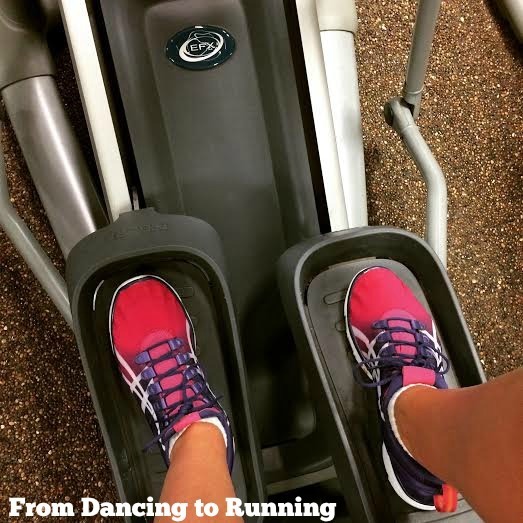 I usually find running shoes to be too heavy and clunky for the elliptical. However, I did not find the ASICS Gel-Fit Sanas to be that way whatsoever. I haven’t felt weighed down when wearing these shoes while on the elliptical. These shoes are not your ordinary gym shoe. They are lightweight (weighing only 5.6 ounces), and feature a customized fit. The flexible material makes them feel as though you are walking around barefoot while wearing them. However, they are supportive enough to wear all day long and not have tired feet at the end of the day. I wore them while we were at Disney World last month, and after being on my feet walking around all day on concrete my feet didn’t hurt at all. Not only are they comfortable and provide a customized fit, they are also super fashionable. Whether its been when I’ve worn the shoes at the gym or out while running errands, I’ve received multiple compliments about these shoes. They are available in multiple color combinations (I received them in Hot Pink/White/Grape). I usually wear a size 8.5 running shoe, which is a half size bigger than my usual everyday shoes. Since I had read that these shoes fit like a glove, I ordered them in my running shoe size, and they fit well. Because they’re designed to be worn either with a thin sock or barefoot, I can’t wear my normal running socks when I wear these shoes, but had no problem wearing my usual day-to-day athletic socks. With socks, my ASICS were snug, but not too snug. I will continue to wear these shoes as everyday shoes and to the gym on non-running days. And I’ll likely purchase another pair of them down the road. 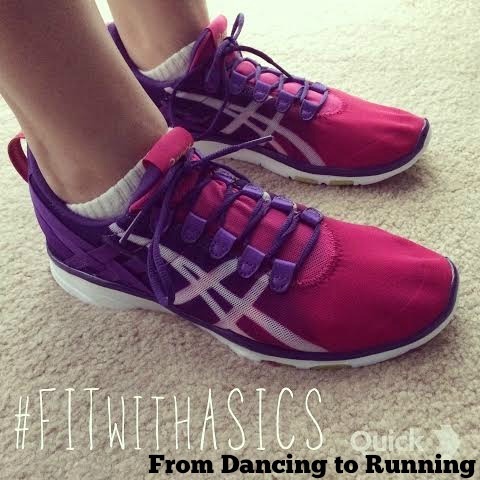 This entry was posted in Miscellaneous and tagged ASICS GEL-Fit Sana, product review. Bookmark the permalink. Such awesome shoes, I love mine! Those shoes are super cute and look comfy. I will have to look for them. Very comfortable, and perfect for long days of walking around at Disney. Asics are my FAVORITE shoes!!! They are the only ones I will run in! Yours are so pretty…love the colors! I love the variety of colors that this shoe is available in. Do you think they would be supportive enough for high intensity moves like squat jumps, jump lunges, burpees, things like that? I use an old pair of running sneaks right now. I like minimal shoes for running, but I think I need some cross trainers with more support for these workouts. I’ve been wearing them for low intensity/low impact training. You may want to look for a more supportive shoe for the activities that you’re doing. I love ASICS, I really want to try these out! These shoes are really cute! I used to have a pair of cross trainers, but now I just use old running shoes at the gym. I love Asics for running, so I just might get some of these for cross training! Asics are like the one brand I haven’t tried yet. Those are so pretty! (And sound so comfy!) Great review! Nice color and I like the laces – I’ve never warn Asics before.